GATE COAP 2018 Result will be the seat offered by the participating institutions to the candidate. The result or offer will be made on the basis of candidate’s GATE score, in the year 2016, 2017, and 2018. The COAP 2018 Result will be announced in all the 4 rounds. The date for all the rounds have been announced. By accessing the portal, the candidates will be able to see GATE COAP 2018 Result / Offers / Seat Allotment. 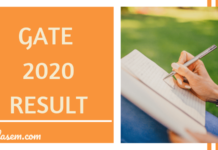 Check complete details on GATE COAP 2018 Result from this page. Check result of GATE 2018 – Graduate Aptitude Test in Engineering – to know your score and All India Rank. In order to check result, you have to login with enrollment ID / email ID and password. Qualified candidates can participate in counselling for M.Tech / PhD admissions or PSU recruitment through GATE 2018. Score will be valid for three years. The seat allotment will be done on the basis of GATE score and availability of seats. 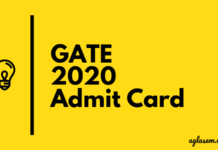 From GATE COAP 2018, a candidate will be able to accept, reject, or retain a seat. 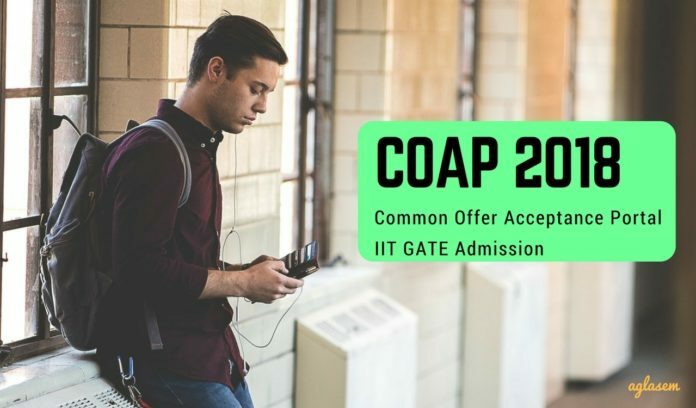 You can check complete details about GATE COAP 2018 Result / Offer from this page. COAP 2018 Offers: Candidates will be able to check the COAP Offers from learning.tcsionhub.in. Accept / Freeze – If you choose this option then it means that you are content with the offer and would like to take the admission. Retain and Wait – Choosing this option indicates that you would like to accept this seat but would also like to check your higher option in the next round of COAP. Reject and Wait – This option means that you do not accept the allocated seat and would like to try your luck in the next round of COAP. Now, that you are aware of your choices, let us move ahead. Step 1 – Register / Login – Candidates who will visit the COAP for the first time, need to register. The registration for COAP can be done online and during it Login Id and Password will be allocated to the candidates. By entering the Login Id and Password, access the COAP Login. Step 2 – Check the Offers – After login, the candidates will be able to see the offers made by the participating institutes. A candidate might have multiple offers, hence, it is adviced that the candidates check their offers carefully. 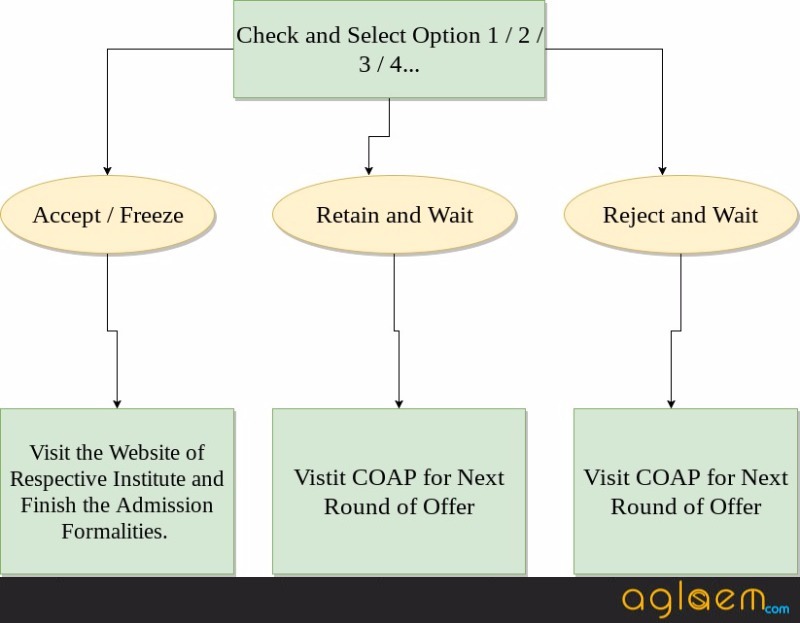 Step 3 – Accept / Retain / Reject the Offers – Candidates who are satisfied with the options, may accept it. Else, go for the retain option. Candidates may also choose the reject option, but retaining a seat is better than leaving it unless you are sure of what you want. Step 4 – Final Admission or Wait for Next Round – Candidates who will accept the seat need to fulfill the remaining formalities of the admission. Whereas, the candidates who will go for the other two options will have wait for the next round of COAP. There will be multiple rounds in which the offers will be announced. As per the dates on the official website, learning.tcsionhub.in, there shall be 5 round of COAP Offers. These will be in the month of May and June. However, these are tentative and might change. Candidates should note that the process in all the round will remain the same. However, in the final round of COAP the candidates will only have the option to either accept the seat or reject it. The waiting and retaining option shall not be provided. Also, after the final round of COAP, the admission shall not be granted in the participating institutes.